Beard is a minimal, responsive, business landing page / one page HTML5 WordPress theme based on Bootstrap 3. This multipurpose, customizable template includes AJAX subscription / MailChimp form, 500+ Font Awesome icons, custom backgrounds and much more! Beard includes 18+ custom modules which you can mix / easily modify / duplicate to achieve the desired result. 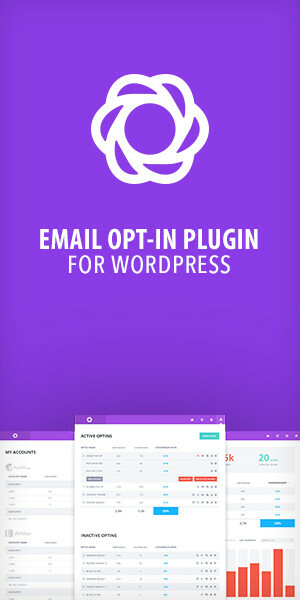 Template also contains AJAX forms: subscription (MailChimp version is also included) and ?Join now?. Beard contains several modules to promote you products, services etc. You can show your teammates in team section with their names and social links. In project module you can show your newst or last projects with some description texts. Show your client logos in that section. Countdown element is timer which you can use to show when you start your website / project etc. Pricing tables section allows you to show your plans / services etc. in simple and understandable way to clients. You can show customer satisfaction in testimonials module, which slides through your client?s opinions. Extended contact and footer allows you to put more contact information, location address, social icons and copyrights details. Beard Theme works perfectly in all mobile, tablet and desktop devices thanks to the flawlessly calculated Bootstrap 3.2 , you don?t meet with slipping or image disorder on any browser. You can do everything you dreamed of very quick and simple way; you build your website with short code of template as well as shortcodes with the excellence of Visual Composer plugin. The Beard Theme which we created by considering the rules of search engine optimization (SEO) will provide you extra benefits at the search results. You will receive free lifetime all updates of Beard Theme which is checked regularly each month. Meanwhile, let us know the particles that you needed and we add them free way. 18+ different modules / shortcodes ? tons of customize options!